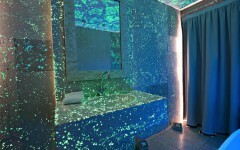 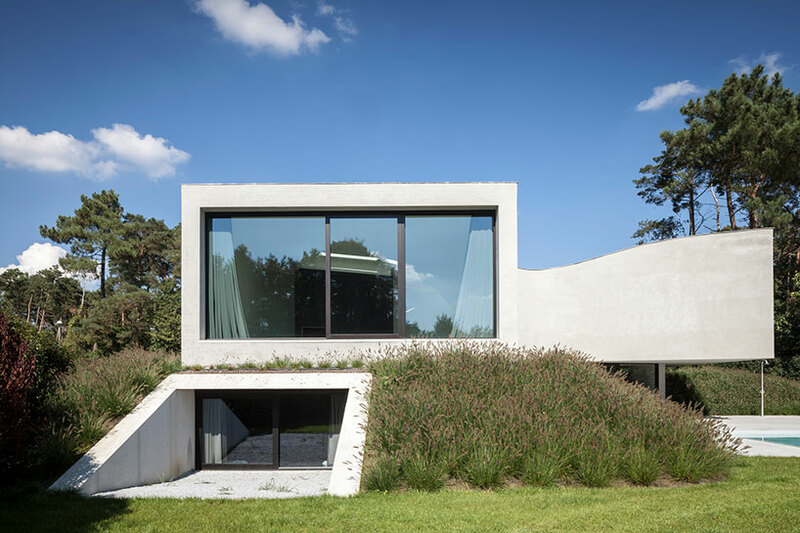 Belgian studio office O architects (OOA) has shared with us images of the recently completed villa mq in tremelo. 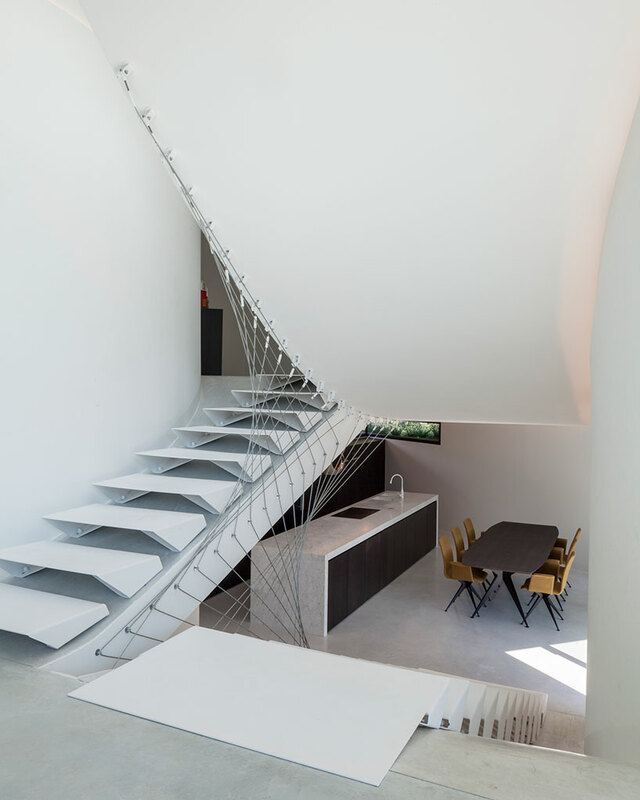 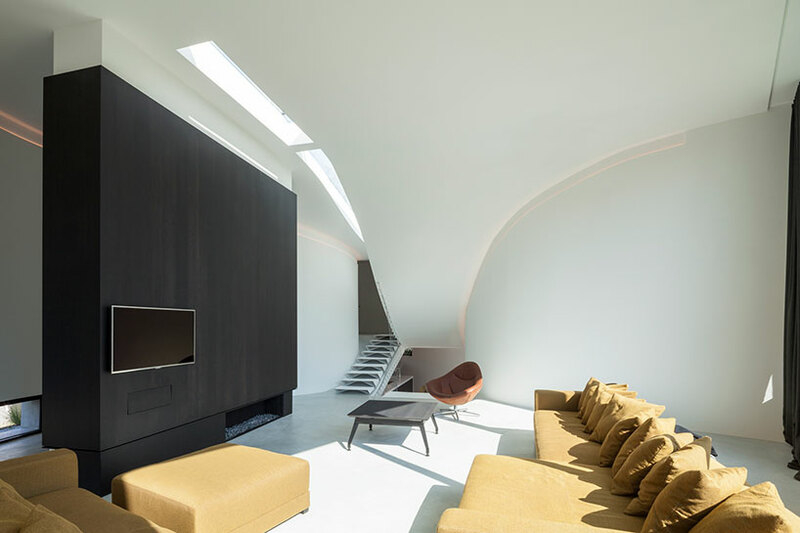 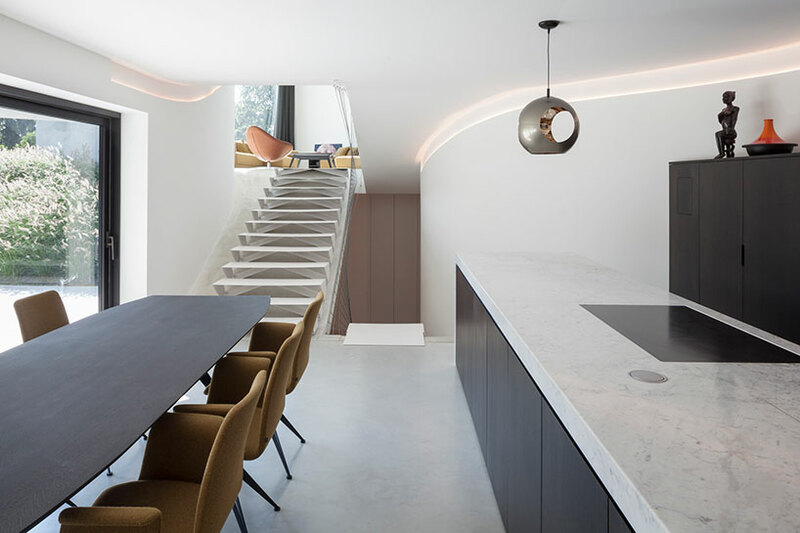 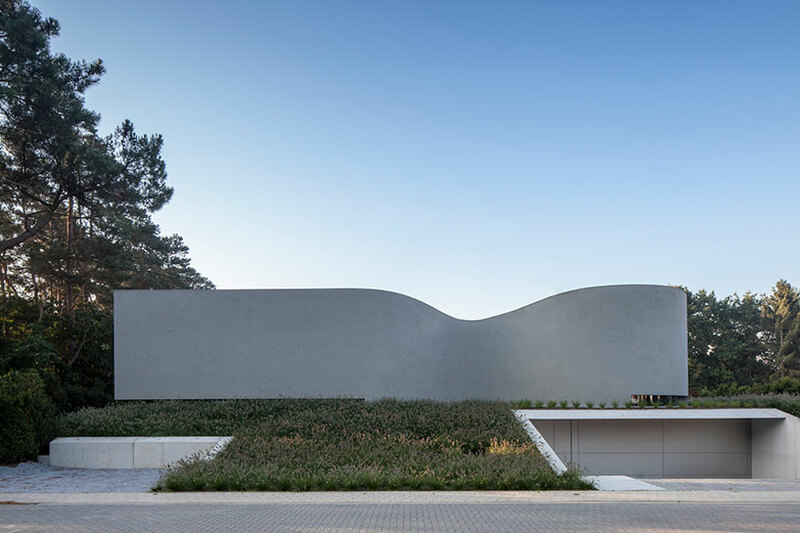 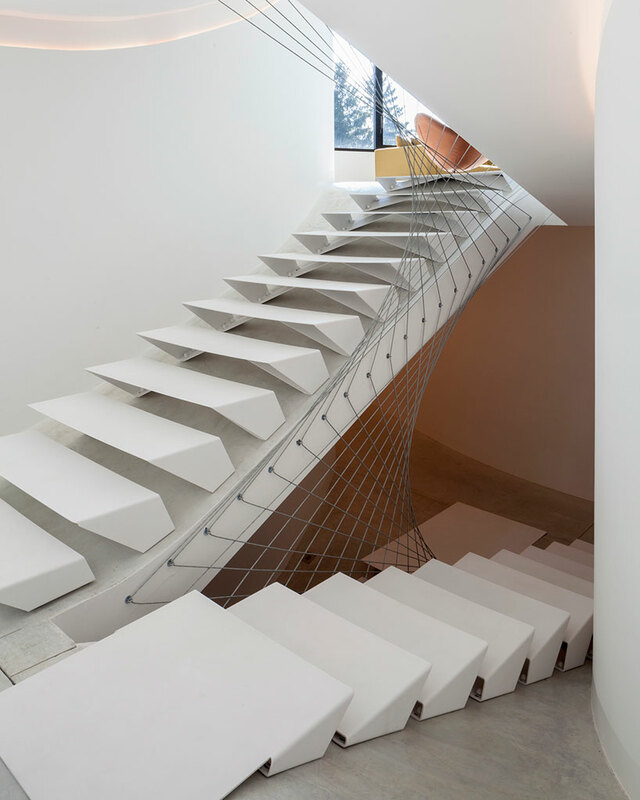 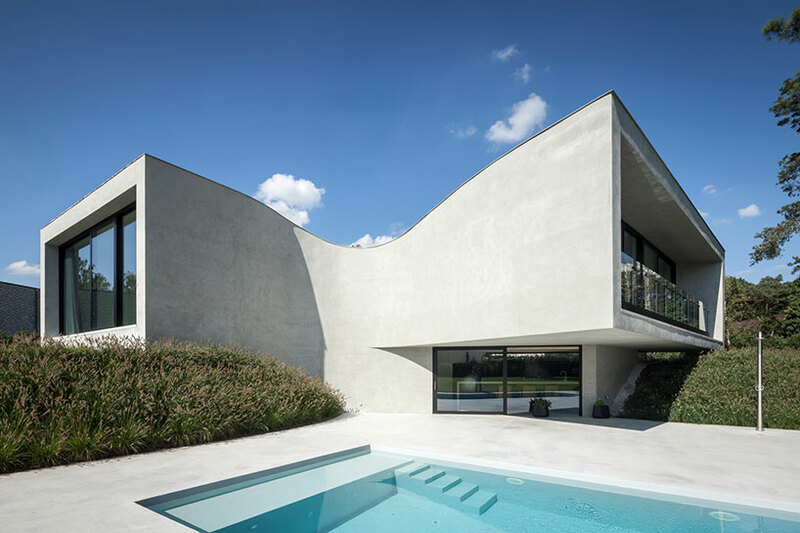 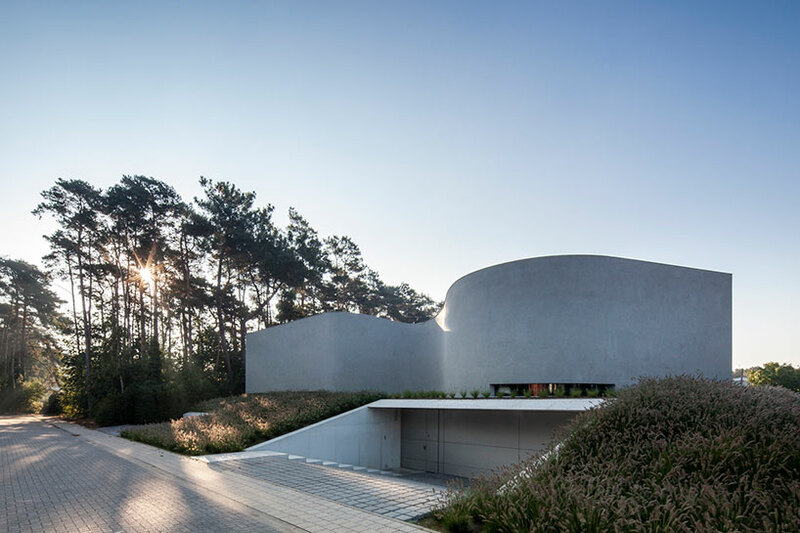 The home, was designed for a family with two kids who wanted a innovative and unique design, manifesting itself as a sinuous concrete form with two axes facing away from each other. 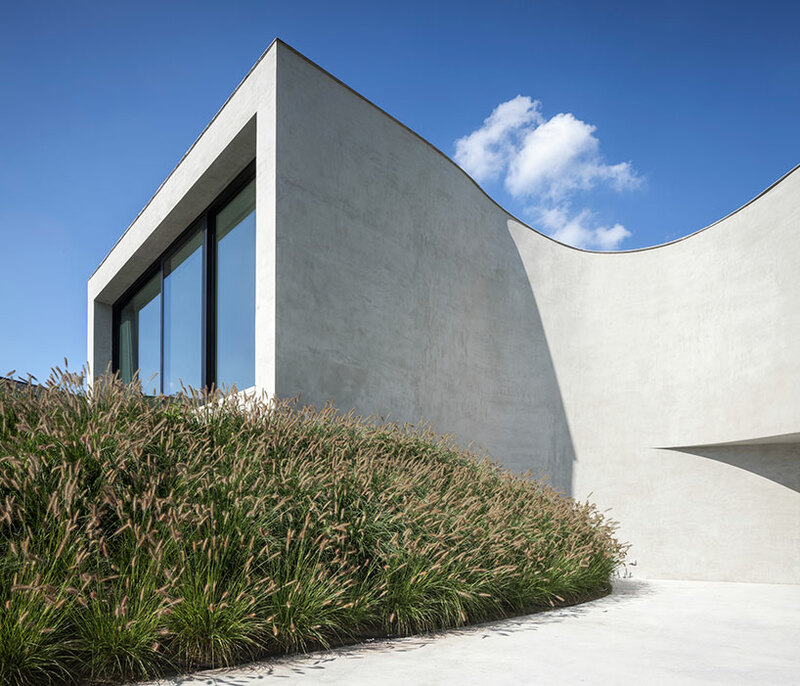 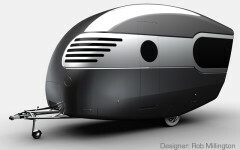 From the street level, the structure looks as a solid wall with no obvious entrance and a series of dramatic curves. 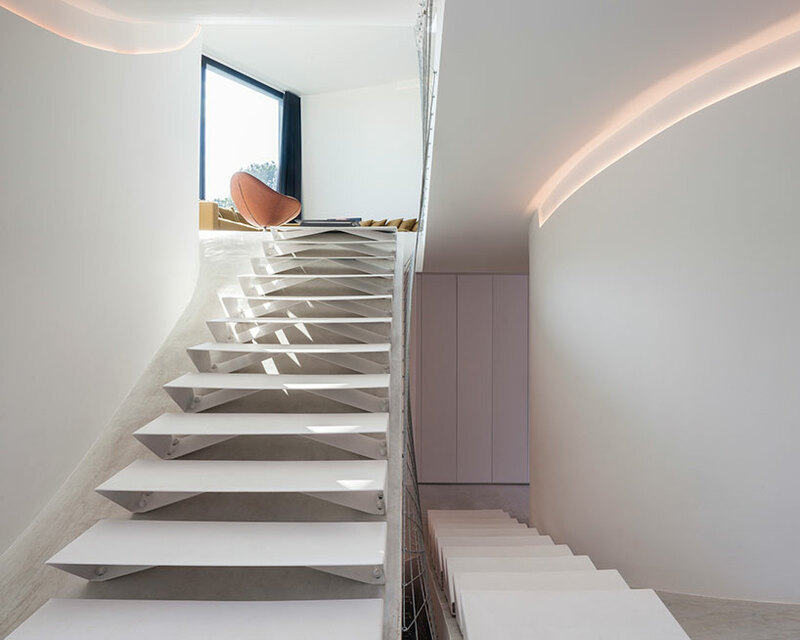 The typical width of the plan is squeezed into the circulation core where a light-flooded staircase connects the five split-levels that make up the house, at either end, the concrete frames abruptly end in a quadrilateral form and operable glass panels giving each bedroom and living area open views to the yard. 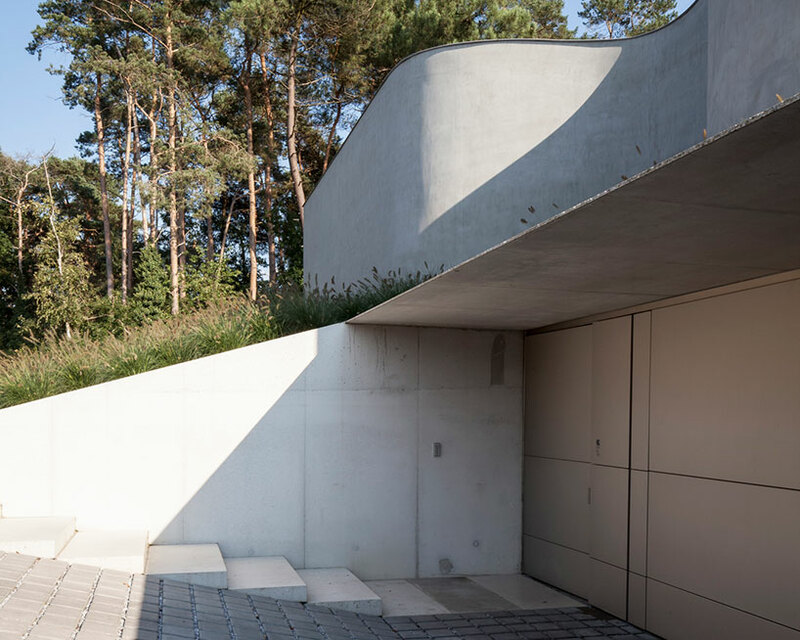 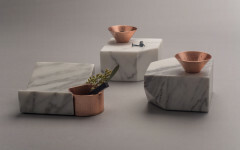 an artificial landscape is built up out of the ground around the lower levels of the home effectively creating the illusion that a one-story structure is sitting atop its natural topography. 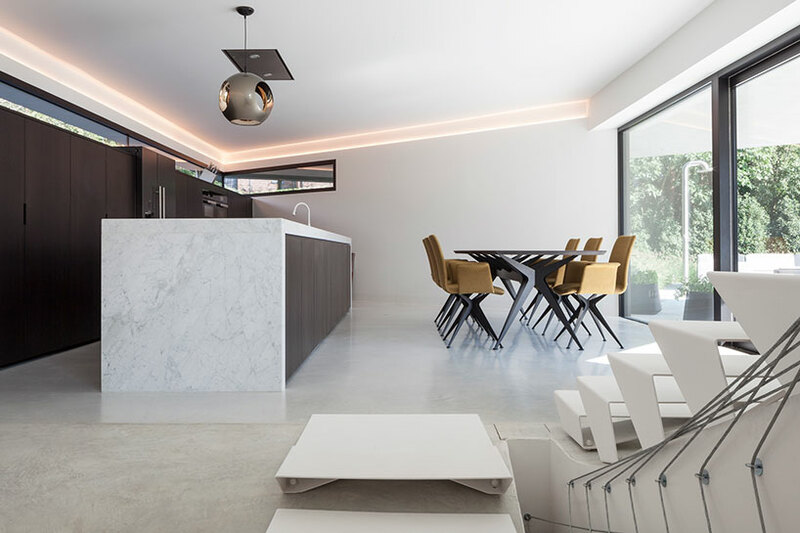 between the two wings, a large patio contains a swimming pool, accessible by large glass doors on grade directly from the kitchen and dining area.